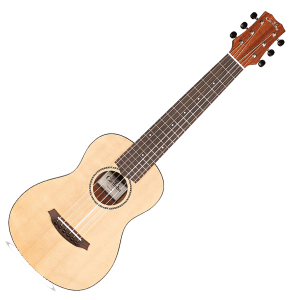 If you're looking for a great acoustic guitar to take outdoors with you and one that's easy to lug around and carry, our top pick is the Cordoba Mini M (Amazon). 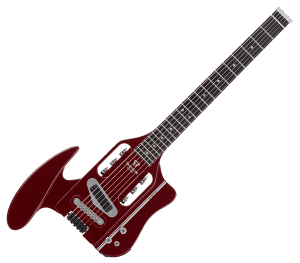 For a great travel-sized electric guitar with absurd value (and one that you can take out into rough conditions without worrying much), look no further than the Shredneck (Amazon). And finally: our bass guitar pick is most definitely the Vox Apache (Amazon). 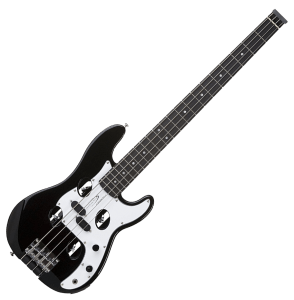 It has the best blend of performance, price, and features out of all the travel bass guitars we looked at. For more details and a great overview about how we came up with our top picks, read on below! Musicians have roadies for a reason. Guitars are heavy, sensitive works of art that need to be taken care of if you want to avoid broken strings or a banged-up fretboard. Unfortunately, chances are you’re not Slash or Eddie Van Halen, and don’t quite have the funds to pay some guys to lug your gear around each time you leave the house for a weekend. 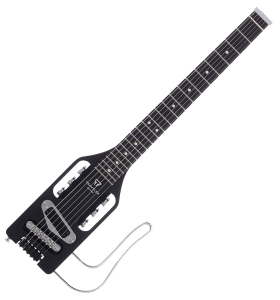 If you find yourself cooped up in a hotel room with nothing to keep your fingers occupied, then a travel guitar might just be the right call for you. These guitars are shorter, lighter, and come with a wide range of features. They're available in a number of budgets that'll fit almost everybody. This means that instead of tucking your Stratocaster safely in the backseat of your car for that camping trip and hoping for the best, you can pick up a great sounding compact option that you can toss in the overhead compartment of the plane, train, van, or any method of transportation -- all without thinking twice. In the three tables below, we summarized our best picks for travel guitars from three categories: Acoustics, Electrics, and Bass Guitars. 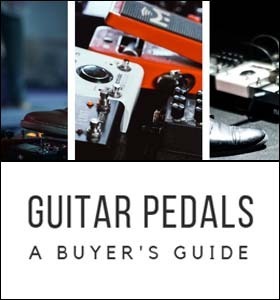 These are great choices even if you're a beginner guitarist. If you scroll down even further though, you'll be able to see some details about each guitar and exactly what factors were used to come up with these ratings. Ideal for fingerpickers. Produces a crisp, clean sound. Hefty. 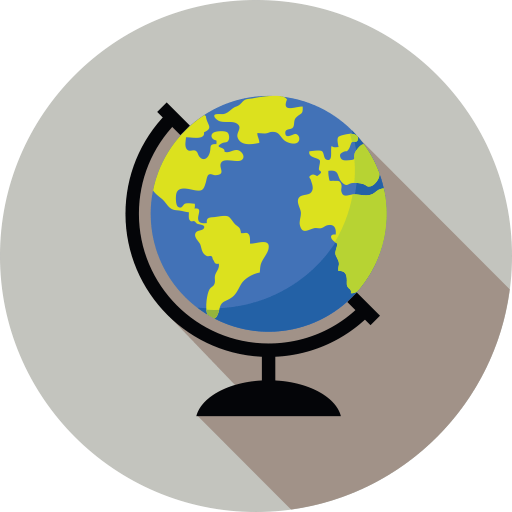 Resists wear and tear during travel. Closer to a full size acoustic. Ridiculously light at just 2.5 lbs. Smaller size, incredibly portable. A very well-balanced guitar. Not too bottom-heavy, comfortable to play. Extremely light and portable. Has an in-body tuning system. A premium guitar. Includes tone controls with four presets and in-body tuning. Top notch performance. Lends itself well to rock and metal with its powerful output. Lets you play anywhere. Packs a 2-channel amp right into the guitar body and has built in speakers. Clean and distortion free sound. Contains a built-in aux port. Great traditional bass. Gives off a deep, warm sound. Smaller body and perfect for the road. Looking for a "Travel-Sized" Version? 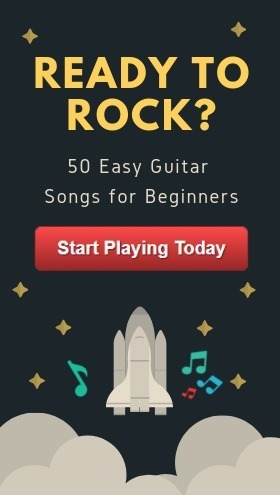 I can send you a "travel-sized" version of 50 easy beginner songs you can start playing ASAP. Grab the PDF by entering your email below. If you’re still with me, chances are you’re already sold on the idea but don’t quite know where to begin. 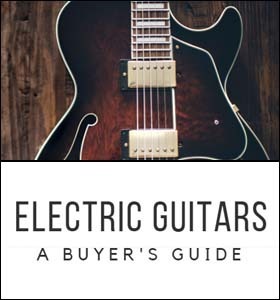 While the process for buying a travel guitar isn’t drastically different from buying a full-sized model, there are a few unique considerations that you’ll need to make. Do you need something that plugs into an amp? What about onboard tone and volume controls? Just how light do you need it to be before it becomes too tiring to lug around? Travel guitars are great for carrying around with you, but they also compromise on certain features in order to make them smaller and more lightweight. I want to make sure you get all the features you want, so when you get down to the next section, be sure to read carefully. You'll learn about our top travel picks, and most importantly, why we chose these guitars over others. 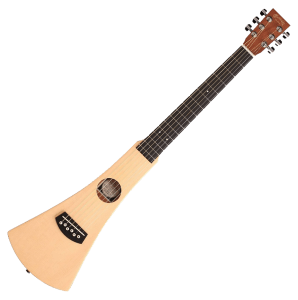 The Martin Backpacker is a great option if you find yourself looking for something unorthodox and eye-catching that you can still play by the fire. At 36 inches long with a 24-inch scale length, the Martin punches above its weight class by feeling more substantial than its bite-sized competitors. It features gentle, soft strings that make it ideal for fingerpickers and produces a very clean sound. That should go without saying, but many cheap guitars have some pretty bad distortion that makes them unappealing to play. One thing that most players discover is that the Backpacker restricts natural anchor points for your fingers while playing. Go ahead and pick up your preferred axe, and notice how the pinky of your strumming hand tends to rest on the body of the guitar. The tapered shape of the Martin towards the fretboard doesn’t let you have that same resting spot, and while that can be a tough sell if you’re set in your ways, it can also encourage you to learn a new style that can help you play faster. If you don’t mind trying something new, then this is a great option that you can regularly find cheaper than MSRP to boot. ​Check out the Martin Backpacker on Amazon. Built to surprisingly high standards given its low price point, the body of the Rover is fully decked out in spruce and mahogany that gives it some heft, and should help it resist the wear and tear of travel. 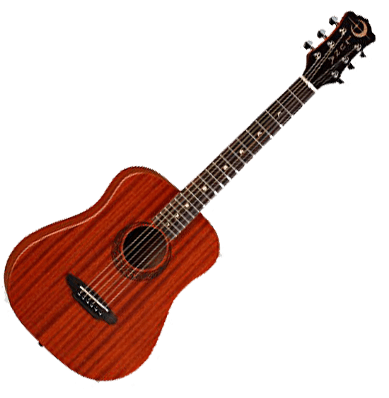 More importantly though, it beats out the Martin we just looked at by boasting 19 frets as opposed to 15, making it feel much more versatile, and closer to a full sized acoustic when you’re playing it. Note though, that it can be quite punchy and loud. That’s great if you’re someone who plays with your buddies in isolated settings, but not quite as good if you’re planning on keeping yourself busy at the conference hotel. 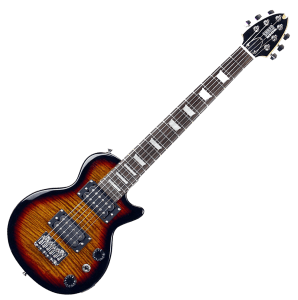 One great feature of this Washburn is that it’s good for newer players as well, since the guitar also comes with an instructional disk. Maybe you don’t need it, but it’s a handy feature if you’re planning on giving it as a gift, or just want to brush up on some fundamentals. Unfortunately, when you look at the build quality, features, and price, they had to have compromised somewhere, and that comes at the expense of the strings. They’re functional, but are prone to snapping when placed under too much pressure. 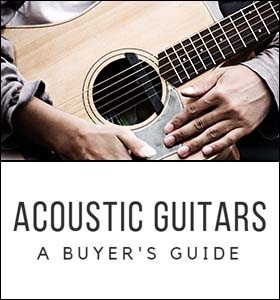 If you don’t want to find yourself stranded away from home with a busted-up guitar, you might want to factor the price of high-quality aftermarket strings into the equation before you buy. 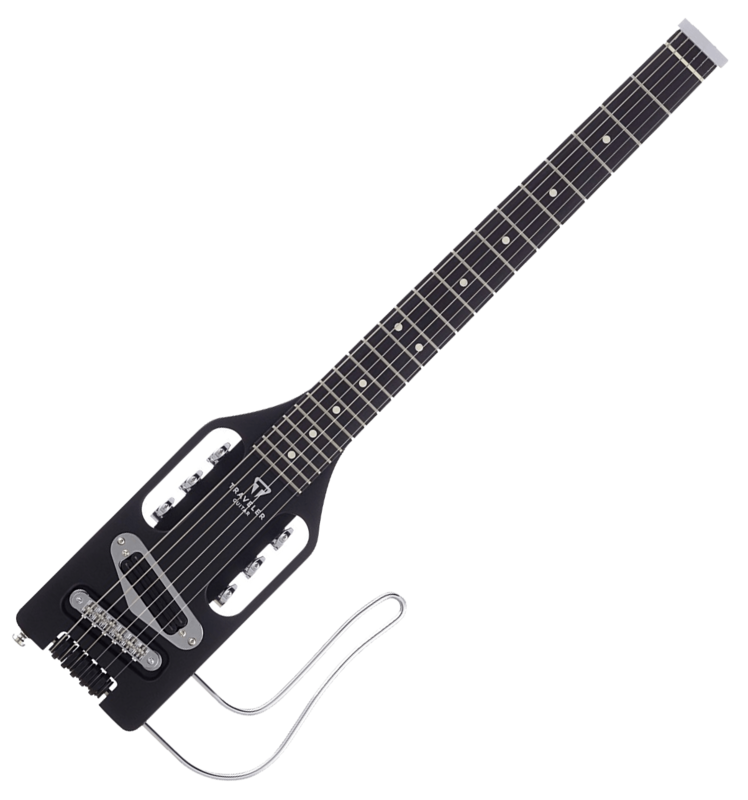 ​Check out the Washburn Rover on Amazon. The Mini M is a good all-around option for people of all sizes and skill levels. The neck is smaller at 20 inches, which isn’t great for veterans looking for a full-fledged guitar experience, but it does make it a great choice for women, children, or even guys with smaller hands who are still trying to get used to moving around the fretboard. This smaller size also helps it comes in at a ridiculously light 2 and a half pounds, and that means stowing it away in the passenger seat of your car or in the overhead compartment of a plane is a breeze. Despite this size though, it can get quite loud, so be sure that you’re ready for others to hear you play each time you pick it up. While you probably won’t play any gigs with this as your primary guitar, the bag it comes with is nicely padded and will keep it protected, which helps add some value to the dollars you’re spending. Overall, probably the most important thing to keep in mind if you’re interested in the Cordoba is its nut width. 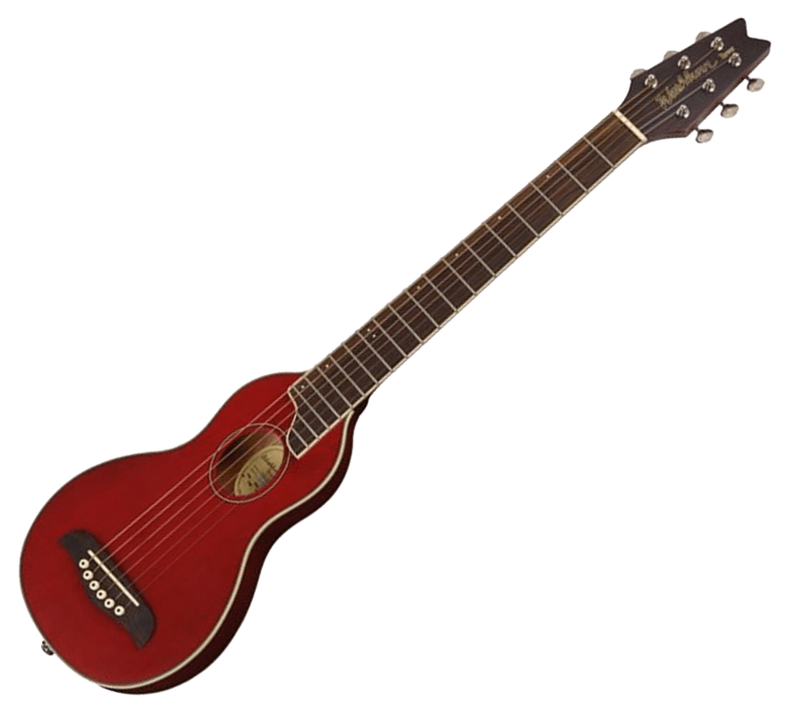 At 1.96” it can be a bit of a shock coming from narrower electrics, but if you find yourself with a lot of classical guitar experience, then this is a fantastic travel tool. It’ll be a much more seamless transition which will have you needing to readjust your hands less, and play more. ​Check out the Cordoba Mini M on Amazon. Some players like to have their gear come ready to play right out of the box, but if you’re a tinkerer who doesn’t mind spending some time to get to know your guitar, then the Luna Safari Muse is for you. Don’t get me wrong, the tone that comes out of this guitar when you first pick it up is quite decent, but the sensitive tuners lose it quickly. You’ll also definitely want to replace the factory strings. The stock steel ones are serviceable, but they’re heavy and don’t produce the sound quality of some high-end alternatives. Put up with some of those minor grievances though, and you’ll wind up with a great sounding, well balanced guitar, and that’s a key consideration. Models that are too top or bottom-heavy can cause strain on the shoulders when playing with a strap, and the long-term discomfort might not be worth the experience. The Safari lets you can play for hours without feeling any pain or soreness, and that’s some great peace of mind when you’re away from the comforts of home. ​Check out the Luna Safari Muse on Amazon. The name says it all. 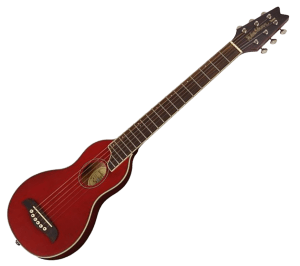 Traveler guitars are often a popular choice when it comes to mini/portable guitars. They're packed with useful features and include smart design decisions that other companies haven’t quite implemented. Mini guitars are also great for kids. The in-body tuning system removes the need for a heavy headstock, which keeps the guitar compact and extremely light and portable. 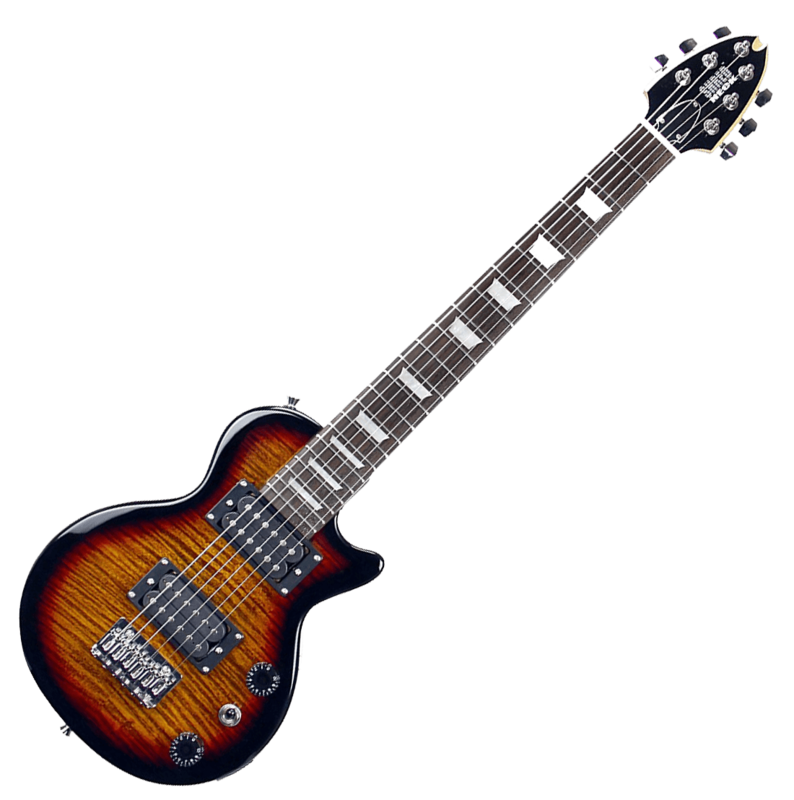 It also has strong pickups that deliver a crisp, clean sound. This'll serve most practicing or amateur musicians quite nicely. If you’re someone who prefers to play heavy distortion genres like rock or metal, you’ll likely need an amplifier to be pleased with the performance since this model lacks tone or volume controls, but thankfully the standard ¼ inch jack means you won’t run into any compatibility issues with the one already lying around your house. It does mean you’ll have another thing to consider when choosing to bring this one on the road or on a flight, but at least you have the option. ​Check out this Traveler Guitar on Amazon. With its recognizable brand name and great looks, it’s hard for most players to pass up the travel-sized Les Paul. The finish is higher-quality than what you’d expect for its price range, and while it’s not perfect it is backed by a limited lifetime warranty that should keep your mind at ease when you run into the occasional scuff or scratch. Being a known brand name though, you do pay a bit of a premium. No, it’s not going to break your wallet, but some of the other entries on the list boast some better build quality than what you’re getting here. You’ll need to swap the tuners and strings because they’re quite frankly, not up to snuff, but given the affordable price of the guitar itself, it’s a cheap, worthwhile upgrade. 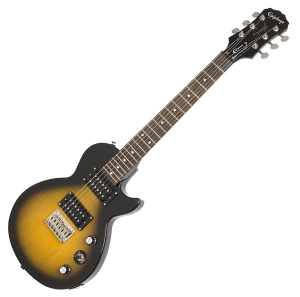 What you do get when you pick up the Epiphone though are some very impressive pickups. Many travel guitars have trouble matching the sound of their full-sized cousins, but you’re not going to have that problem, or run into any unwanted interference here. With the minor upgrades we suggested, you’ll have a classic looking, great-sounding guitar that will do nicely as both a presentation, and performance piece. 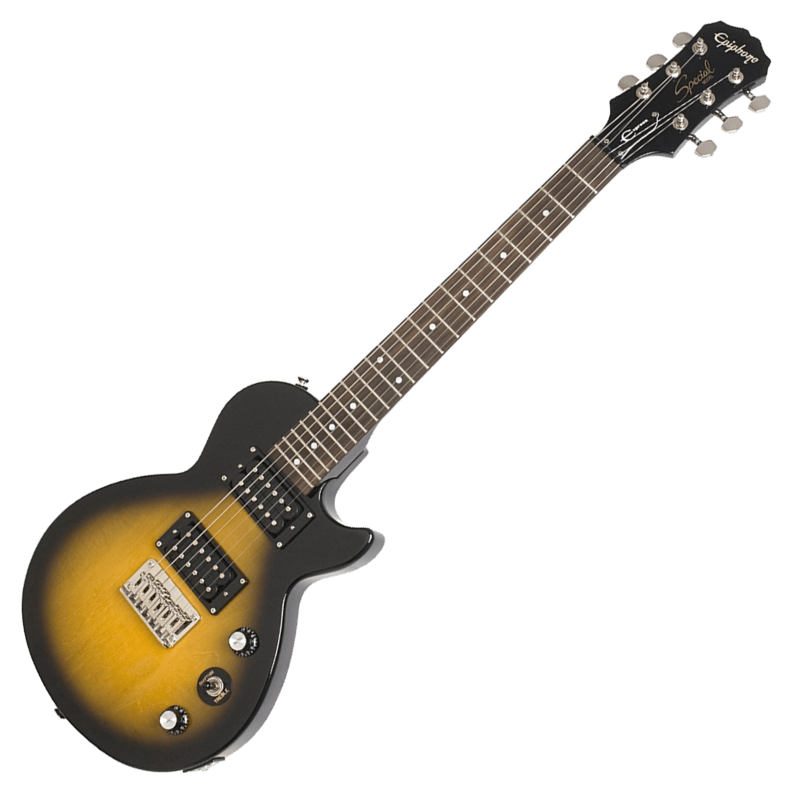 ​Check out the Epiphone Les Paul Express on Amazon. The most expensive electric model on this list might have you hesitant to drop the cash, and I don’t blame you, but if you have the coin and want something a step above the competition, the V2 Speedster has you covered. It features the same headstock-less, in-body tuning system as its other Traveler brother, but goes a step further by including tone controls with four pre-set positions to give you some variety while playing. Its maple body looks and feels premium, and will definitely turn some heads when you take it out of its case. Toss in the built-in amplifier and headphone jacks, and you have the best compromise on this list between travel and full-sized guitars. Its higher price tag means you don’t exactly want to be beating it around in transit, but if you’re someone who spends more time traveling for work than you do at home, this is a fantastic option to reasonably, if not perfectly, replace the ones lying around that you never get to play anyway. ​Check out the Traveler SPD HRR V2 Speedster on Amazon. You might not recognize the name, but what you give up in brand recognition you make up for in features and performance. Despite its smaller ¾ scale length, the guitar lends itself extremely well to rock and metal music thanks to its powerful output and variety of tone and volume controls. Its two humbuckers also make sure that any unwanted signal noise playing havoc with your pickups is going to be suppressed, leaving you with the rich, clean sounds you expect when you play. Finally, its 22 frets and a three-way toggle switch to engage the different pickups gives you a ton of versatility when you’re playing, which can be a sanity-saver on a long trip. Thanks to the fact that it’s almost fully kitted out, you won’t need to worry about bringing an amplifier with you when you bring the Shredneck along, and it’s a good thing too, because at almost 6 pounds it’s one of the heaviest options available to buy. While most prefer to travel light, it’s hard to beat the features on offer, especially when its cheap price means you won’t mind too much if it gets roughed up while out in the field. ​Check out this Shredneck on Amazon. Bass players don’t quite have the same amount of options as their electric or acoustic cousins, but that doesn’t mean they don’t have good options. The Vox Apache II might have a divisive look, but it really brings it where it counts. It features all the onboard controls you would expect from a full-sized model, but also packs in an incredibly unique 2 channel amplifier right into the body of the guitar. This means that with a few batteries you have everything you need to play in any situation. While the sound it outputs at default setting won’t blow you away, toggling the overdrive switch fixes that problem by massively increasing the performance by curing the guitar of its minor fret buzz. On top of all that though, having the built-in speakers allows the Vox to pack in extra features like pre-recorded rhythm sections that help you practice even if you’re playing solo, although that does reduce the battery life down to a mere 24 to 26 hours of play time. Thankfully you can still plug it into an external amp if that happens, so you have the flexibility to play your way even if they happen to die at the worst possible moment. Note though, that all these features come at a price, and that price is the added bulk it carries to cram all these features in. 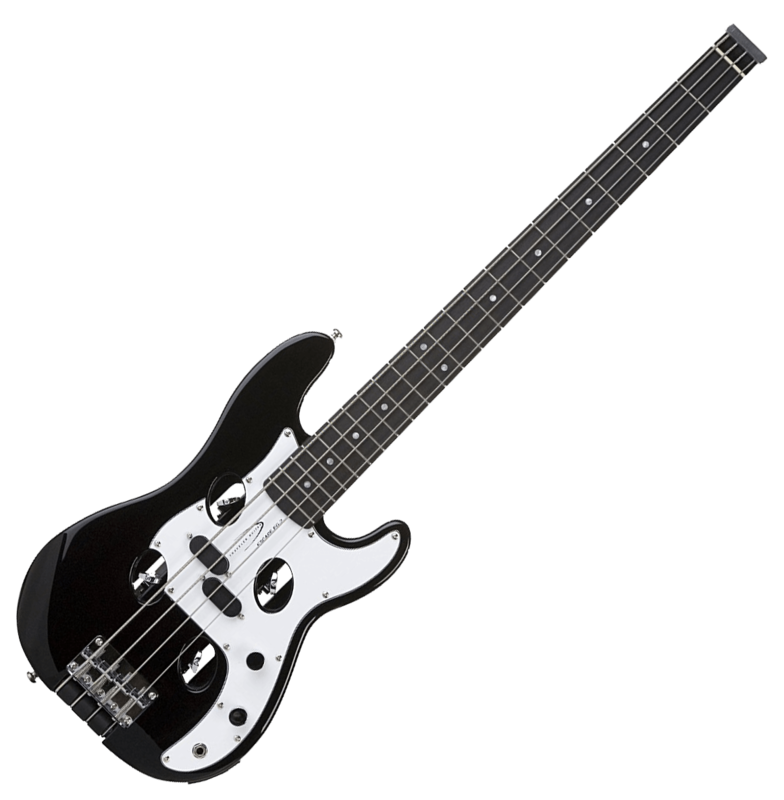 It’s still much lighter than a traditional bass, but it might not be something that you want to lug around the city. If you’re just picking it up for the ride to and from your destination and don’t plan on moving too much in the meantime though, you’ll be more than happy with your purchase. 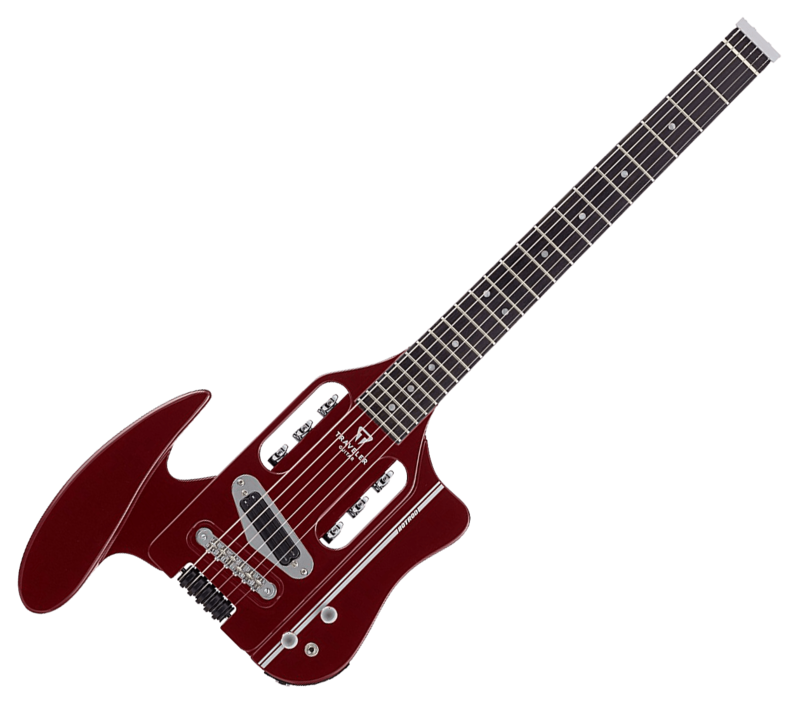 ​Check out this Vox Apache II on Amazon. If you’re looking for something a little more traditional and less flashy, Traveler makes our list for the third time with a top-tier travel bass that’s expensive, but worth the price if it ticks the boxes off your list. Coming in quite a bit lighter than the Vox by shedding the body amp, this model still gives you the option of plugging in directly to the headphone amplifier that, while not as powerful as the Vox, keeps all your notes clean and distortion free. It even has an aux port to let you play along to your preferred tracks, so if you tend to travel with thousands of songs loaded onto your phone, then it can be a great feature to breathe new life into those same old playlists. While the features and performance you get here are high quality, you are paying quite a bit for a product that doesn’t really have the finish you’d expect for the price. Your mileage may vary, but it’s not uncommon for these guitars to require a minor tune-up out of the box to adjust the action and make fretting slightly easier. It’s all work you can do yourself if you have the tools and experience, but isn’t a hassle that everyone wants to go through. Bottom line though is that this is still a great purchase if you value high quality sound and features, and can live with minor faults in the workmanship. 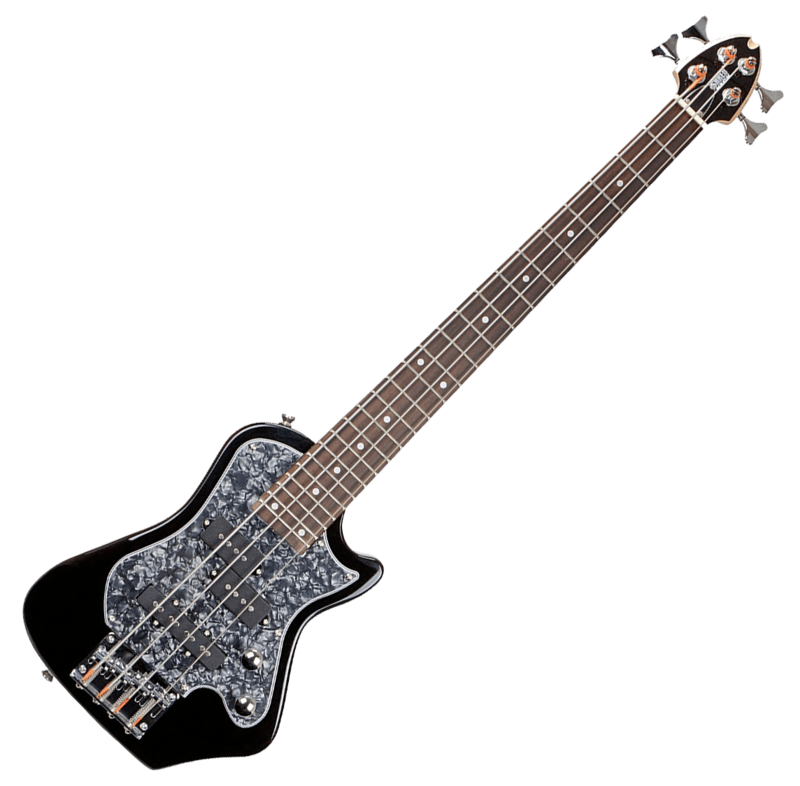 ​Check out this Traveler Bass on Amazon. 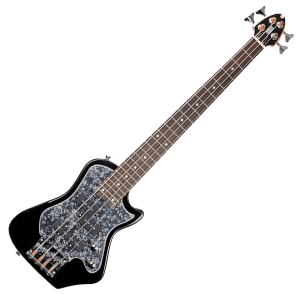 Offering another great budget focused option, the Z-series travel bass comes in at a slightly smaller 28” scale than the Traveler’s 32, but keeps the same number of frets to maintain the feel of a traditional bass. It might mean that you’ll need to adapt your hand to the narrower frets, but it’s a worthwhile trade-off when you factor in just how nicely the guitar plays. Out of the box it’s tuned nicely and holds it well, and offers some very decent strings that give it the deep, warm sound you’re probably looking for. It isn’t as feature rich as some of its competitors by lacking headphone amp jacks or advanced controls, but still sports tone and volume knobs to give you some added value and sound options. It also has a smaller body that might require you to adjust your strumming style, but it’s nothing that can’t be learned in just a few hours. It might lack the versatility to compete for “daily-driver” status, but the sound the Shredneck produces makes it an ideal practice tool, while still performing above expectations on the road. ​Check out this Shredneck Z-Series on Amazon. While there’s no such thing as a perfect guitar, the right guitar does exist. 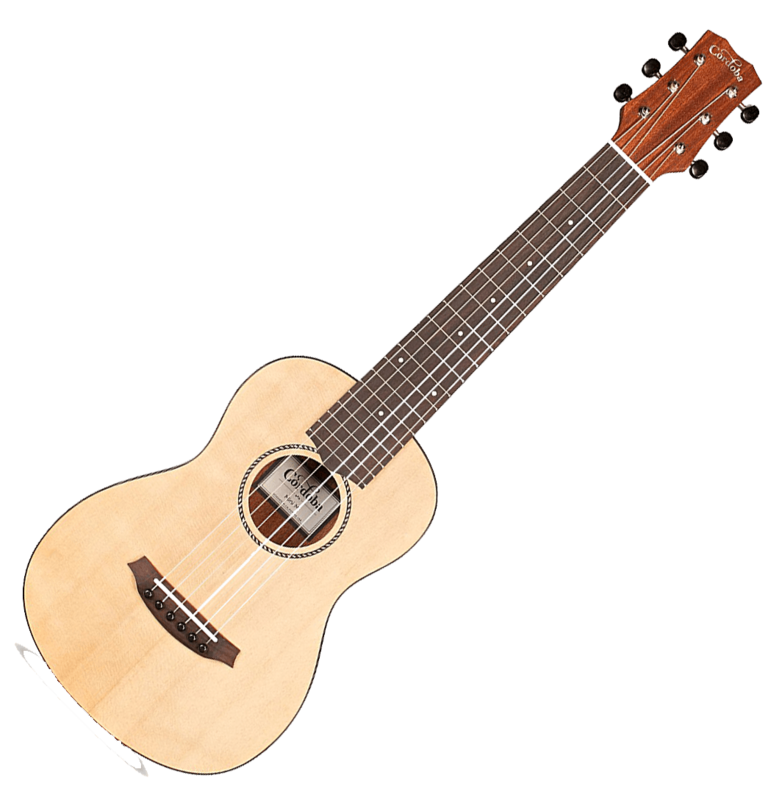 If you’re looking for the best travel-sized acoustic for your next camp visit, it’s hard to beat the Cordoba Mini M (check price on Amazon). It’s not as feature complete as some of its competitors, but comes in at an attractive price without forcing you to worry about buying aftermarket strings or tuners. Likewise, the absurd value of the Shredneck (check price on Amazon) makes it hard to find an economical electric competitor. You can double the price for a Traveler, but the Shredneck is an equally attractive, well-performing model that you won’t be afraid to take out into rough conditions. 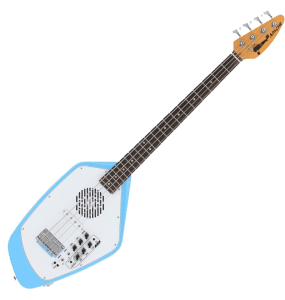 Finally, the Vox Apache (check price on Amazon) offers the best blend of performance, price, and features among all the travel bass guitars we looked at. It does everything you could possibly ask of it at a decent price, and will make you more than happy each time you pick it up, provided you don’t mind the added weight. Travel guitars offer a fantastic mix of performance and value, and while the model you personally decide to go with will be the one that’s best-suited to your individual needs, it’s really hard to go wrong with any of the options I’ve detailed. 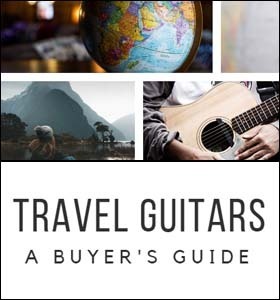 What I’ve done here is outlined the pros and cons of some of the most popular travel guitars out there to give you the information you need to make an informed purchasing decision, and keep you playing guitar no matter where you find yourself.